Deciding to buy a new vehicle? That’s great! If you’re here, we’re guessing you’re considering a Land Rover. Researching is one of the major steps in choosing your next vehicle, and our team at Land Rover Albuquerque is here to help. 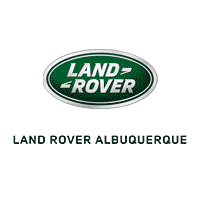 So, how will you know if the Land Rover is the best choice for your drives around Albuquerque, Rio Rancho, and South Valley? It’s simple: by reading these car reviews! We’ve got all the info you need right here for your Land Rover research. WHY SHOULD I READ THESE CAR REVIEWS? Buying a new vehicle is a fun process, but certain aspects might come off a bit confusing at times. There might be specific details about your preferred model you wouldn’t have known about without some prior research. Plus, certain terms or names of parts might not immediately be familiar to you. So, you could spend time searching up unfamiliar words in Google, or read about all the details of your next Land Rover model in these car reviews for you. WHAT WILL I FIND IN THESE LAND ROVER CAR REVIEWS? You’ll find tons of information in our Land Rover car reviews, including specific features of the models. Technology features, engine sizes, and safety features are just a few of the aspects we’ll cover. Not only will you find out what’s what in your Land Rover, but how it’ll benefit you as the driver as well! We like to go over everything from the inside out. That way, you’re well-aware of what it is you’re looking for before you head over to your Land Rover dealer for a test drive. You can get started with your Land Rover reviews by clicking on any one of the model links on this page. You’ll be redirected to a new page that will give you all the details of your potential next luxury SUV. If you don’t see the model you’re looking for here, feel free to contact us at Land Rover Albuquerque! We’ll be happy to answer any questions, or, of course, set you up with a test drive when you’re ready.